Worldwide – French band M83 has been touring its brand of electro-pop and its latest album, Junk around the world, playing festivals including Coachella in the US and Glastonbury in the UK, as well as headlining at academy-sized venues, all to rave reviews. 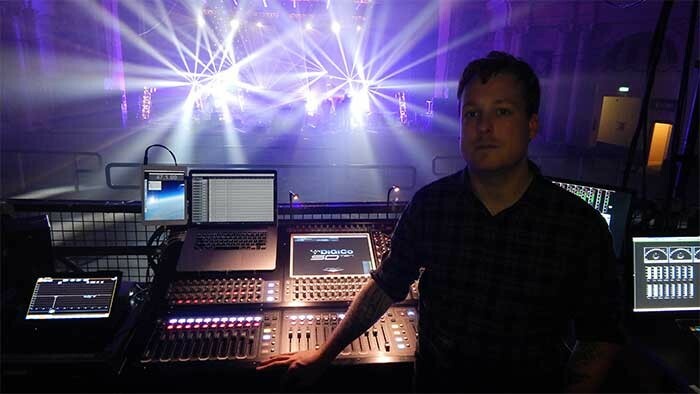 Their audio system has been supplied by Clair Brothers since the band was big enough to take one out, says front of house engineer Robbie Barr, with a pair DiGiCo SD10s now forming an indispensable part of the package. Robbie has been with the band since 2012, initially on playback / Ableton and now mixing the show for the current album campaign, whilst monitor engineer Laura Davis joined them this year. Both engineers have experience with DiGiCo consoles, both are using an SD10 for the first time for the tour, and both have the latest Stealth Core 2 software which, they say, is a game changer. 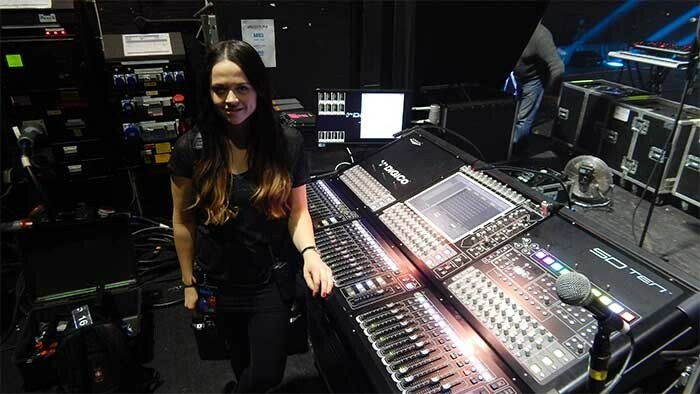 Both Robbie and Laura are using all 56 inputs on their SD-Racks. “At my end, with channel doubling and FX returns, I’m running 83 channels in total,” says Robbie. “I love how flexible the layers on this console are. I have some channels doubled so I can widen the guitars, etc., and being able to have those channels hidden on another layer with a VCA in their place really keeps my workflow simple. I also have DiGiTubes on my parallel drum buss, bass instrument busses and guitars buss. Mixing M83 is challenging, the show being incredibly effect heavy on the vocals and on the mix buss. Both Robbie and Laura are delighted with the support from the DiGiCo team.